All the latest Pro Evolution Soccer / Winning Eleven news! PES 2014 and all future PES! The first official details for PES 2015 have been released along with 10 new screen shots. First 2015 Trailer & Screens Released! The first official screenshots of PES 2015 have been released! To hear our impressions from our time with the game from E3, be sure to listen to our podcast. Bryan and Charles are attending E3 2014. Below you'll find feeds from their twitter profiles and also any video content they choose to produce. To be updated throughout the week. Check back often! PES 2014 World Challenge DLC! Konami Digital Entertainment B.V. has announced new DLC content for PES 2014, with an all-new World Challenge mode featuring a new International Cup. Konami have released a new patch for PES 2014 on PS3 and Xbox 360. Available now on both PSN and Xbox Live, the patch includes many gameplay and AI updates. We've also got confirmation that it includes a new ‘wide’ camera angle for the 11 vs 11 mode! Datapack 3 is also going to be available soon. European Community Manager has sent us word on some of the patch fixes that will be coming our way in the near future for PES 2014. Take note, this does not include all the updates. We still do not know the exact date the patch will go live but it is great to finally have a better idea of what to expect. PES 2014 reviews are flying in from around the web! The PES United review will be later than others due to the game not releasing until the 24th in the states. We will post other reviews of the game on this page as they become available. Things are looking great so far with the game scoring consistently in the 8-9 category. Also check out the official TV advert for the game! PES United Player Faces Video Exclusive! Big thanks to the guys over at Next-Gen Gaming Blog for sending us these fantastic videos of player faces. We've got Argentina, Brazil, Ireland, Sweden, Czech Republic, and of course the USA. Hope you like them, let us know what you think in the comments! Konami have released a new PES 2014 trailer showcasing Master League. Highlights are the ability to move between clubs, manage national squads, play as a goalkeeper in Become A Legend, and some of the new goalkeeper specific controls. Also shown is the new budget cap and the 3 league system for Master League Online! Konami has revealed the list of official teams and stadiums that will be included in PES 2014. The number of stadiums has been reduced but we are excited by the quality shown in the demo. Be sure to let us know what you think in the comments section! New PES 2014 Demo is Live! The official PES 2014 demo has appeared 2 days early on XBOX live in the USA and is also now available on PSN! Let's just say it's fantastic! Happy playing! We will be posting our impressions, comparing it to the leaked demo, and talking about it on episode 6 of the podcast coming later this week! The official Winning Eleven website has revealed the mode list for PES 2014! These include Exhibition, Online Ranking Match, Online Free Match Lobby, Team Play Lobby, Exhibition Watch Mode, Master League, Master League Online, Become a Legend, and many more. 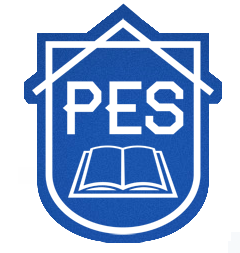 Adam Bhatti, the PES European Community Manager, has made a blog post on the WENB forums detailing some features that unfortunately are not going to be included in PES 2014. He's done this in an attempt to get the news to fans earlier rather than later and avoid any surprises upon the games release. The omissions are indeed surprising, but we appreciate his openness and honesty. PES 2014 Available Now On PSN! In a completely unexpected move, the PES 2014 Demo has come available on the PlayStation Store. This is in contrast to the demo announcement at Gamescom, that it would be released September 11th. Also it seems this is not the newer code that was the cause of the demo delay, but is instead preview code, from which most of the communities negative impressions originated. Footy United. Soccer gaming fan site. FIFA, PES, it's all good!